Thích Nhất Hạnh (born October 11, 1926) is a Vietnamese Buddhist monk, teacher, author, poet and peace activist who now lives in France where he was in exile for many years. Born Nguyễn Xuân Bảo, Thích Nhất Hạnh joined a Zen (Vietnamese: Thiền) monastery at the age of 16, and studied Buddhism as a novitiate. 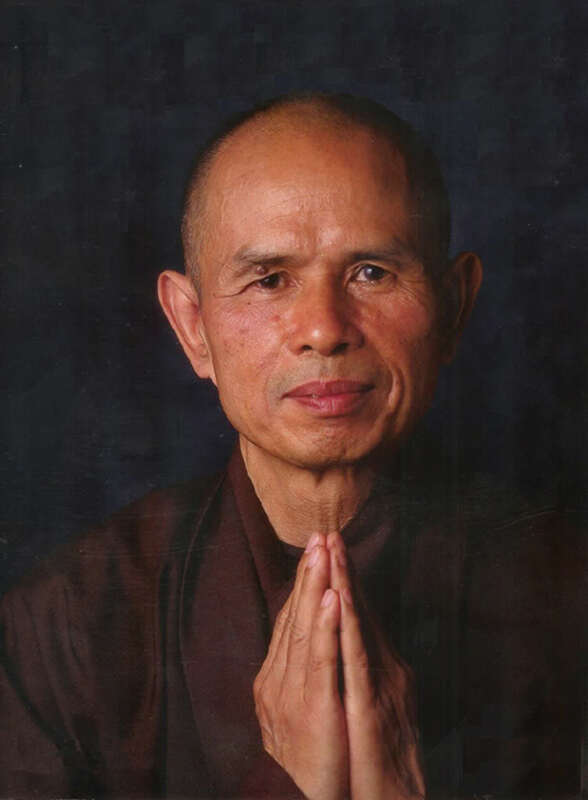 Upon his ordination as a monk in 1949, he assumed the Dharma name Thích Nhất Hạnh. Thích is an honorary family name used by all Vietnamese monks and nuns, meaning that they are part of the Shakya (Shakyamuni Buddha) clan. He is often considered the most influential living figure in the lineage of Lâm Tế (Vietnamese Rinzai) Thiền, and perhaps also in Zen Buddhism as a whole. “When I am mindful, I enjoy more my tea,” says Thay as he pours himself a cup and slowly savors the first sip. “I am fully present in the here and now, not carried away by my sorrow, my fear, my projects, the past and the future. I am here available to life. “When I drink tea this is a wonderful moment. You do not need a lot of power or fame or money to be happy.